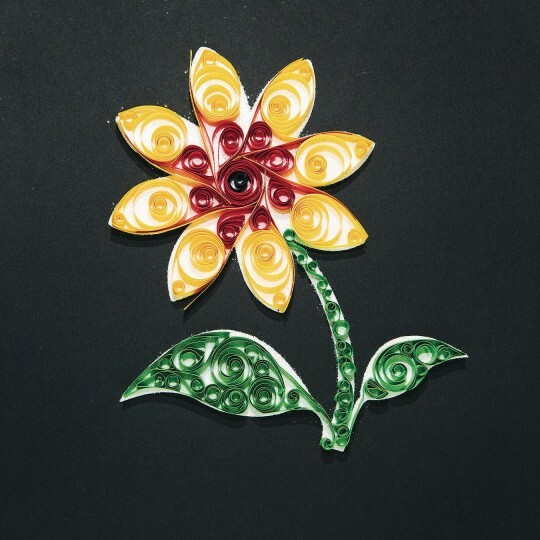 Get creative with paper quilling! 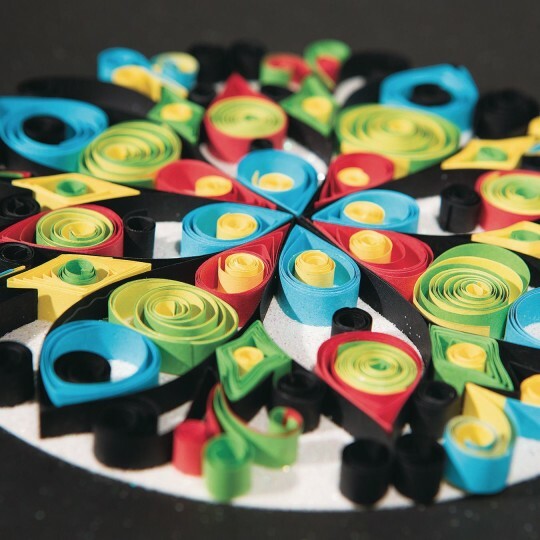 Create a beautiful paper quilled design with the ease of an adhesive surface and no glue! 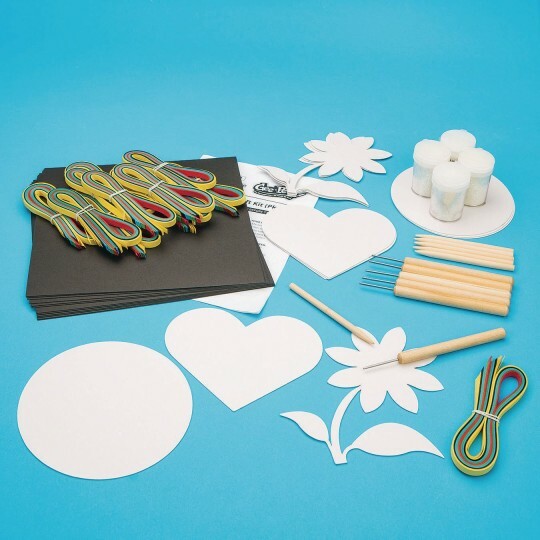 4 each of 3 designs to quill (circle, flower or heart) along with 8" square black chipboard base, assorted color paper strips, reusable slot quilling tools, wood quill tools, detailed activity guide and instructions. 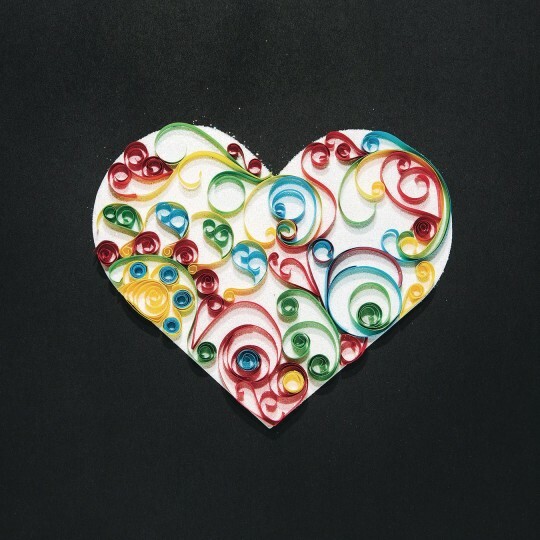 Iridescent glitter is included to give your finished quilled design extra sparkle. 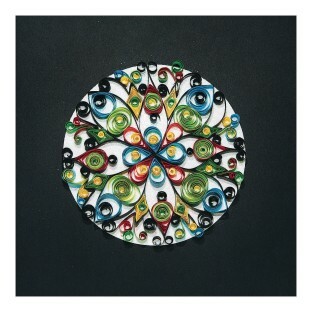 Finished project is 8" x 8". 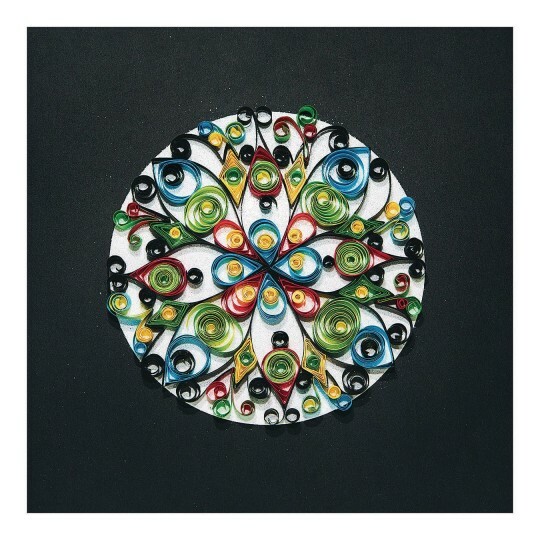 The white shapes should have been adhesive on both sides. One side could be peeled and used as advertised. It was impossible to peel the paper off the other side. It was very frustrating. We discovered this problem after we had adhered them to the black back ground. If you purchase this kit be prepared to use glue to adhere them to the black paper and peel the backing to adhere your shapes glitter. Merchant response: We appreciate you bringing this to our attention. Our Quality Team is reviewing the item and we will issue you a credit for this product.